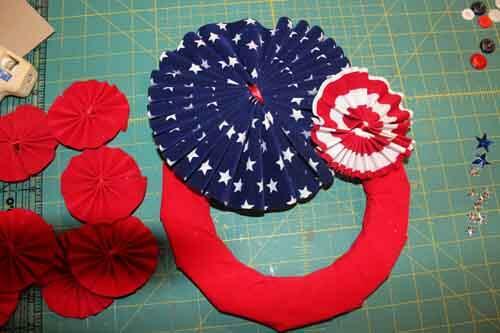 Learn how to make this patriotic door decoration wreath through our free video tutorial. Click the image below to watch the video, or keep reading for written instructions. 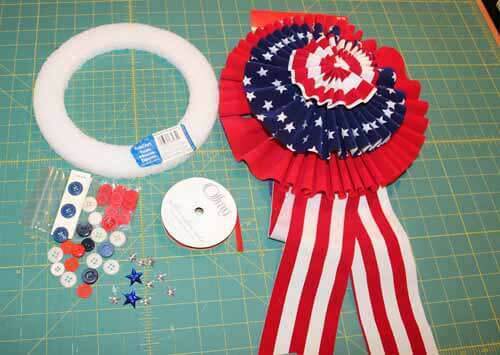 This is a fun and simple wreath to make from a purchased bow package. 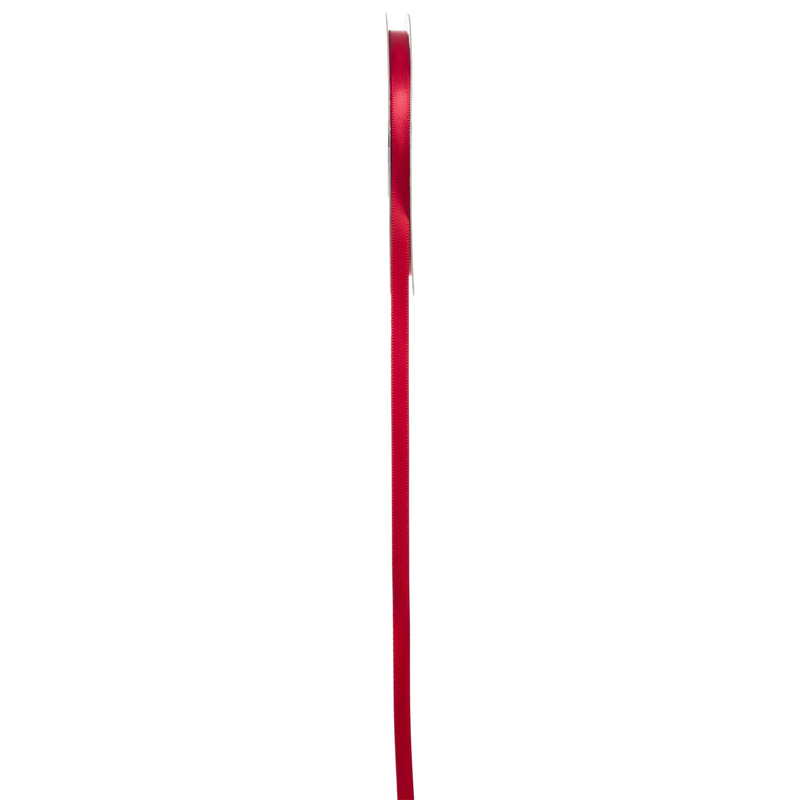 This brings more life to the simple bow purchased at the store. 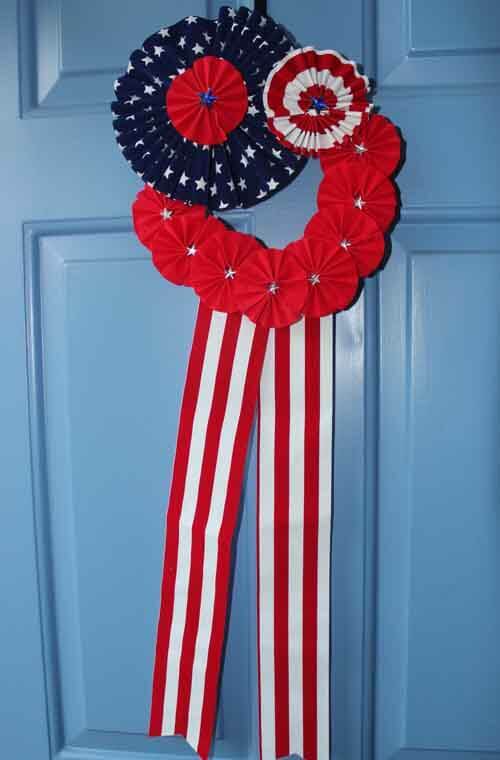 This wreath was made using a patriotic door decoration found at Michaels crafts. 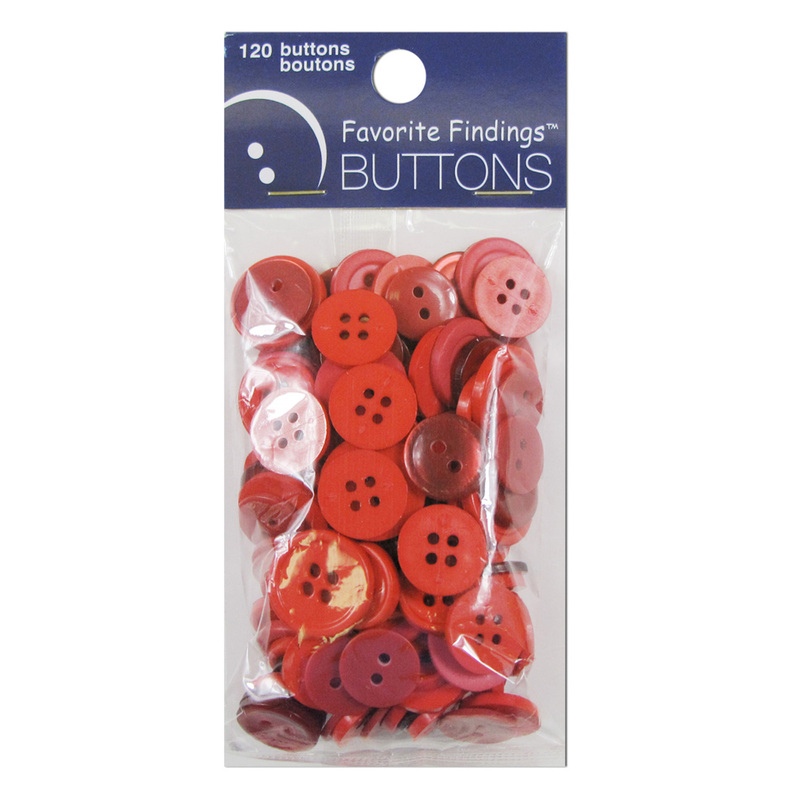 See below for a affiliate links to purchase the supplies for this craft. 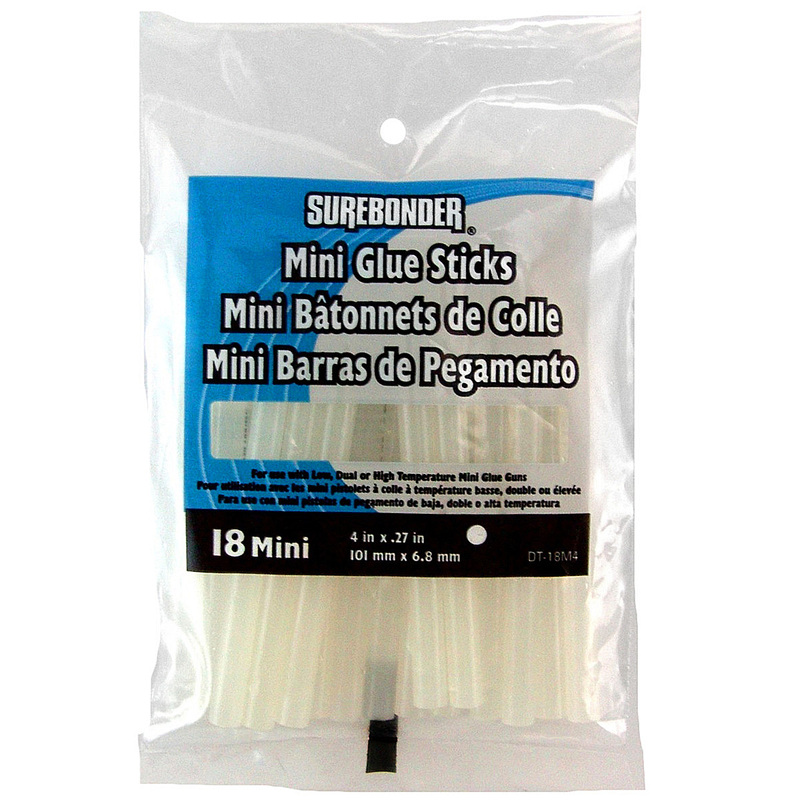 Please help us to keep making new videos by purchasing supplies through our affiliate links. Each purchase gives us a small commission. 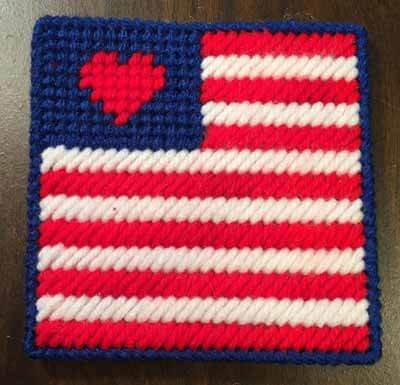 Are you interested in more patriotic themed projects? 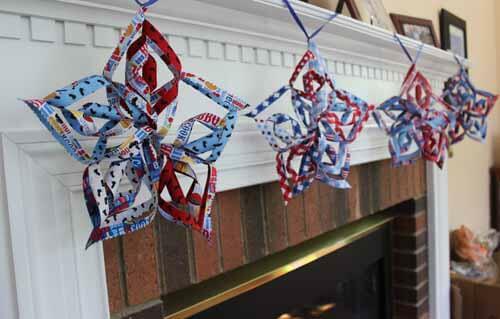 Our Patriotic Theme page has craft ideas for you. 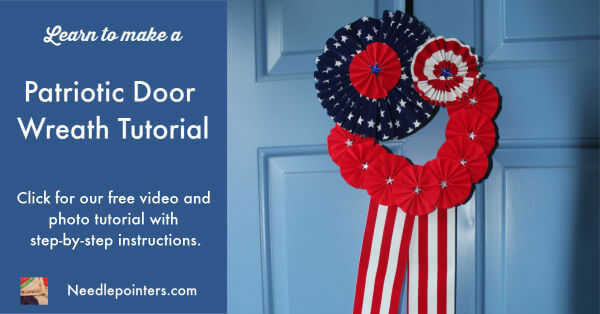 Watch our Video Below or Click the link to watch Patriotic Door Wreath Decoration Tutorial in Youtube. 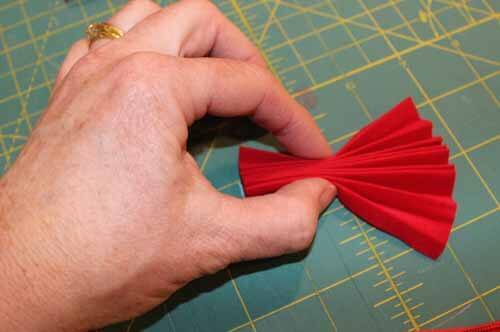 Take apart the rosette bow and replace center twist ties with a piece of ribbon on the small and medium rosettes. Set these aside for later. 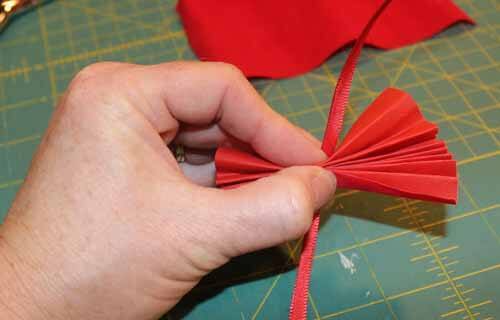 Open up the largest rosette (red) into one piece of ribbon. Cut off the ends where it was stapled to remove the holes. Next, cut a strip from ribbon 3" wide. From that strip, cut 6" pieces so you have nine 3" x 6" rectangles. Set aside the remaining ribbon for later. Fold each of the rectangle accordion style with 1/4" wide folds as shown. Tie a short piece of ribbon in the middle. Use all nine rectangles to make nine rosettes as described. 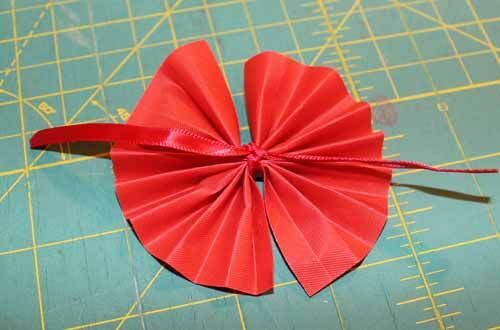 Spread the ribbon out to get a small rosette. 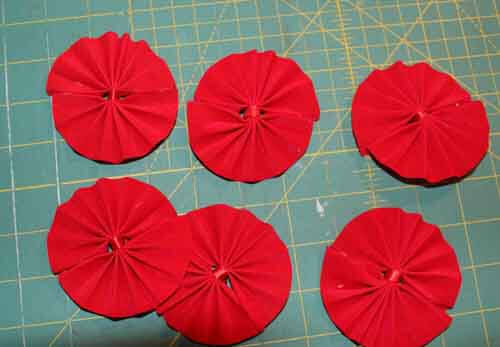 Glue each rosette open with a couple of dots of glue from the glue gun. Finish all nine rosettes this way. Next take left over piece of red ribbon and cut a 3" - 4" strips. 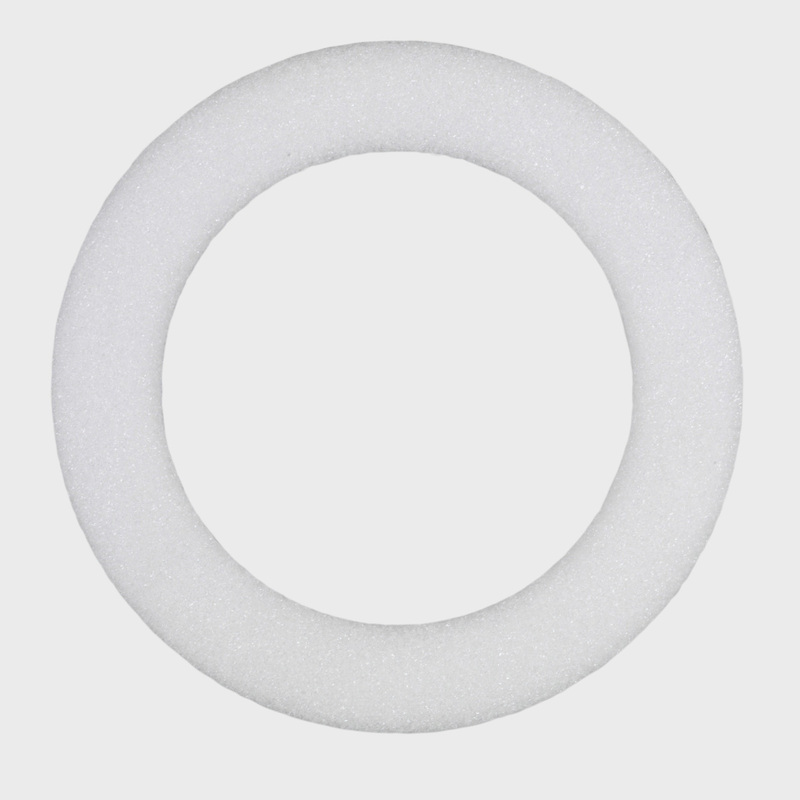 Wrap the strips around the styrofoam ring. 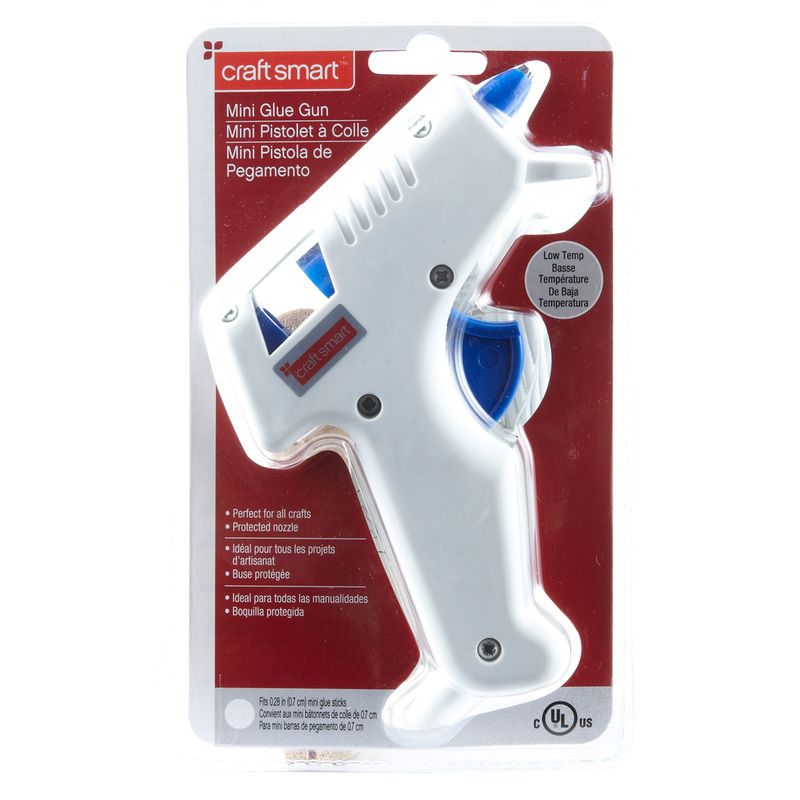 Use the glue gun to glue the end of the ribbon down. 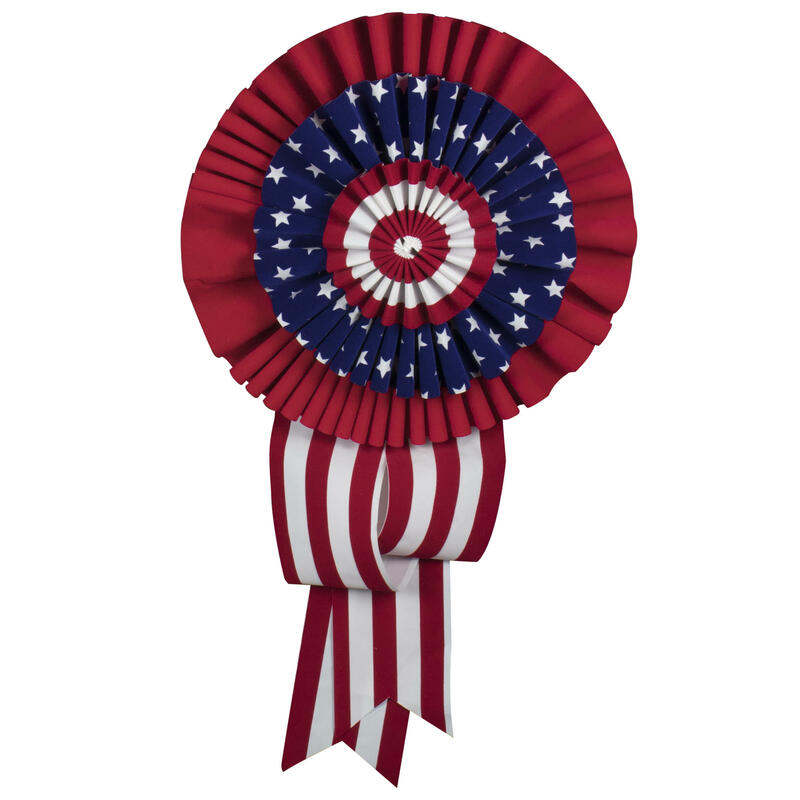 Glue on the two larger rosettes (blue star and red/white) set aside earlier. Arrange 8 rosettes as you like them on the wreath and glue them each to the wreath ring. Glue the last red rosette on top of the blue rosette in the center. 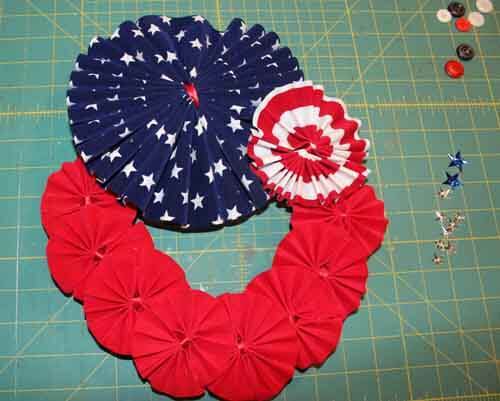 Glue the star buttons (or other buttons) onto the center of each rosette including the blue star and the red/white one. If you want the long tails, glue them to the back of the wreath to finish it off. 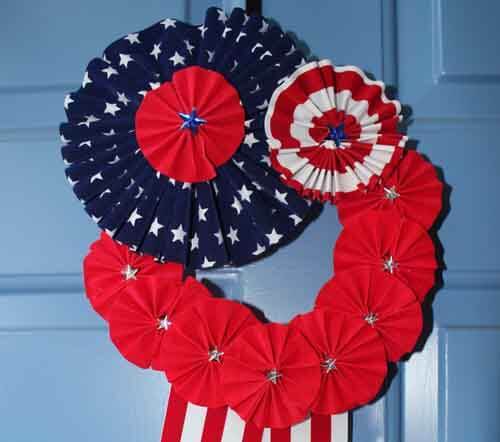 I hope you enjoyed this project and make a patriotic door decoration for yourself. See below for links products you need to complete this project from Michaels Stores. 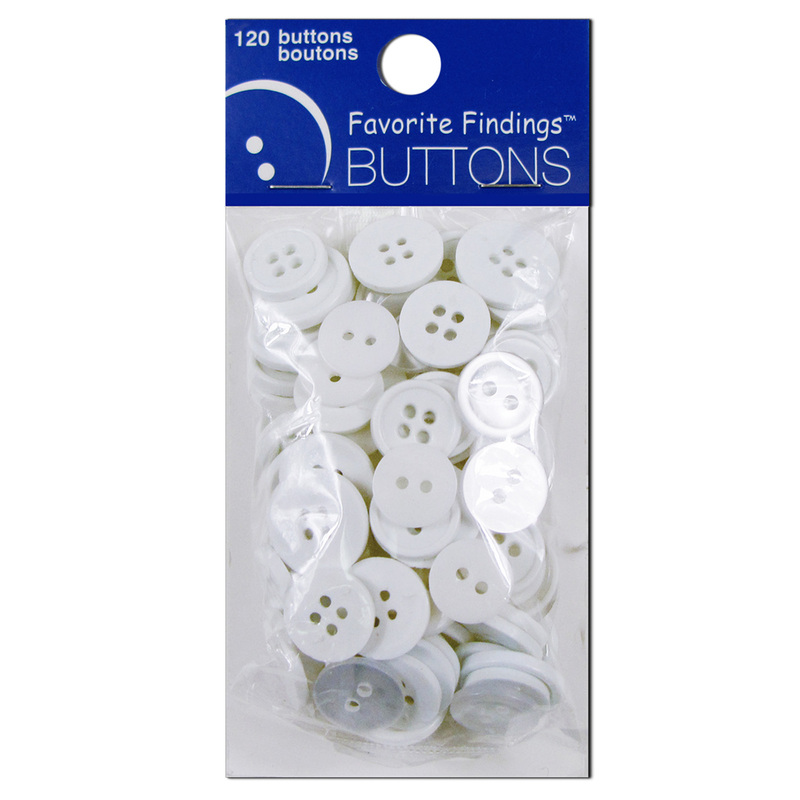 The star buttons are available through Amazon. 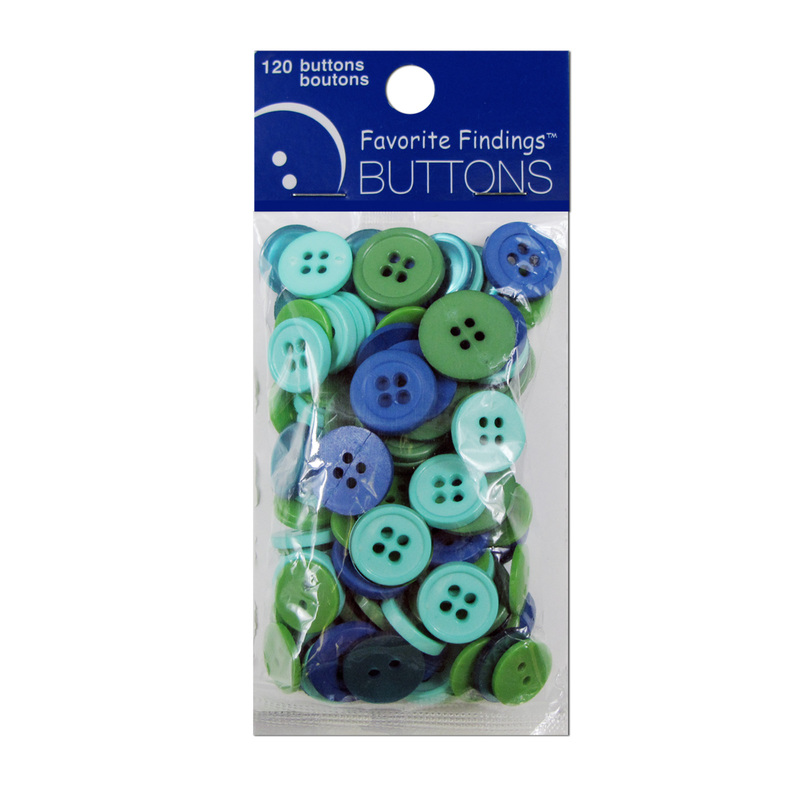 Try out Michaels, order online and pickup in store service which is very convenient! If you purchase through these links, we receive a small commission on the sale. 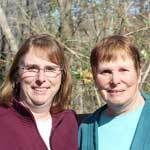 Please help us keep making videos by making purchases through our links.